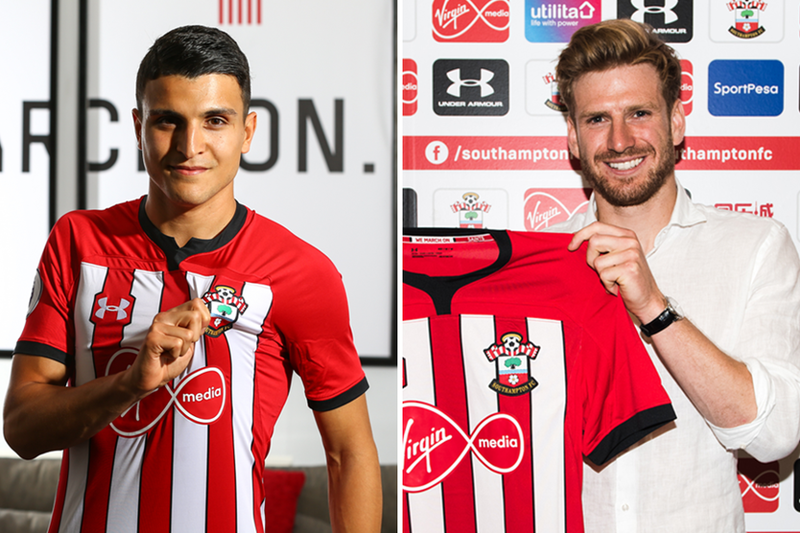 New Southampton midfielders Mohamed Elyounoussi (£6.5m) and Stuart Armstrong (£5.5m) can be early targets for Fantasy Premier League managers. Elyounoussi supplied 11 goals and eight assists in 33 league appearances for Basel in 2017/18. Armstrong arrives from Celtic having produced three goals and five assists in the Scottish Premiership last season. But injury limited him to only 15 starts. He totalled 15 goals and seven assists in 25 starts in 2016/17. Such form highlights his attacking potential. The midfield pair give Southampton a much-needed goal threat after Dusan Tadic joined Ajax. Tadic was their only midfielder or forward to score more than 100 FPL points last season, with 122. Charlie Austin (£6.0m) was their top scorer with seven goals as the Saints found the net on just 37 occasions. Their goal conversion rate of 8.22 per cent was the third worst in the Premier League. Manager Mark Hughes preferred a 3-4-2-1 formation after taking charge late in 2017/18. In such a set-up, Elyounoussi and Armstrong are expected to occupy the advanced central roles behind a lone striker. Southampton have a fine run of opening fixtures, facing only two of last season's top-six placed sides in the opening 10 Gameweeks. And looking at their prices, the pair can ignite their potential as cut-price FPL midfield options.